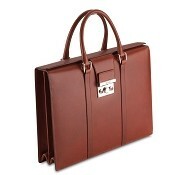 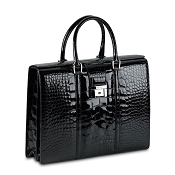 Buy high end womens executive briefcases crafted in fine luxury leather with designer stylings and world class quality. 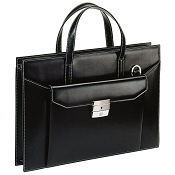 Get the fine leather womens executive briefcase that meets your need a for well dressed corporate look. We offer an elegant selection of handmade luxury leather womens corporate briefcases from our range of top class quality leather goods. 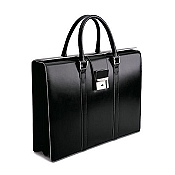 Designed for women executives, they are excellent ladies high end business briefcases for heads of companies and the upper echelons of the corporate world. 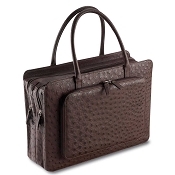 See our Womens Briefcases for an even wider range of choices. The personalized Womens Executive Briefcase is a statement on confidence, power, and style. 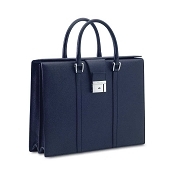 Buy an executive leather briefcase for women monogrammed or personalized with name, initials, or logo. 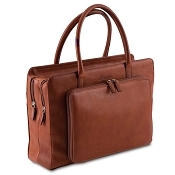 Give as a gift or build your wardrobe in a way that is personal and unique.